Amarjeet Sohi was appointed the Minister of Natural Resources in July 2018. His work focuses on developing Canada’s natural resources in an environmentally responsible way. He also served as the Minister of Infrastructure and Communities from 2015 to 2018. Upon assuming the Infrastructure and Communities portfolio, Minister Sohi oversaw the design and early implementation of a plan of more than $180 billion over 12 years – the largest infrastructure investment plan in Canada’s history. 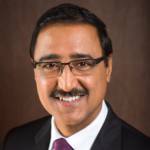 Prior to being elected Member of Parliament, Minister Sohi was a three-term Edmonton City Councillor. Natural Resources Canada (NRCan) seeks to enhance the responsible development and use of Canada’s natural resources and the competitiveness of Canada’s natural resources products. It is an established leader in science and technology in the fields of energy, forests, and minerals and metals and earth sciences. 1- The 3 pillars of natural resource development are economic growth, environmental sustainability and inclusivity. 2- We must create policies that price-in the negative externalities of pollution and therefore encourage companies to do things differently. 3- Canada’s energy transition must find ways to reduce the environmental impact of our oil and gas sector, while simultaneous developing alternative sources of energy. The Federal Government must focus on the long-term benefits that could emerge from strategic investments in new technologies that are not yet commercially viable. What is the role of natural resources in Canada’s future economy? 17% of Canada’s GDP in 2017 was directly or indirectly related to the natural resources sector. Canada’s natural resources have been a source of well-paying middle-class jobs for decades, and we envision that the sustainable development of natural resources will create well-paying jobs for decades into the future. The development of natural resources is very relevant to how we fuel, grow and energize our economy. We want to make sure Canada transitions into a low-carbon economy while maintaining its robust natural resources sector. I am looking for more sustainable and stable supplies of energy and recently announced the creation of a large Liquefied Natural Gas project in British Columbia, which could be a global source of clean energy. In fact, Canada can be a source of sustainably developed forest and mining products as well. We are committed to the safety, security and sustainability of natural resources in order to capture their growing market around the world, and help meet global climate targets at the same time. How do we ensure that Canada’s economic development does not come at the expense of our environmental sustainability and international climate targets? Innovation has been an integral part of natural resource development since the beginning. Oil sands development in Alberta would not have happened if we had not invested in the technology and people to extract oil from sand. So, it is a story of innovation, growth and jobs. We just need to continue to foster that to advance our thinking on reducing the effects of resource development on the environment. Per barrel emissions from the oil sands are continuing to decline and more trees are being planted in Canada’s forestry sector than are being harvested. In addition, Canada’s mining sector in the North is also full of innovation and dynamism; the government invests a lot in it. When I look at the development of natural resources, there are three pillars in my mind. One is continued economic development, growth and job creation. The second is environmental sustainability and reducing the effects of resource development on the climate. And the third is the creation of an inclusive economy, particularly how we engage with indigenous people. Canada has an abundance of natural resources and the talent and expertise to develop them sustainably. Also, as we transition to the new green economy, we need to use the revenues from resource development to fund new clean technologies and renewable energy sources such as wind, solar and tidal energy. In fact, I recently announced in Halifax that the government will be investing $30 million in tidal energy. Cleantech is key to the government’s Climate Plan and to sustainably developing Canada’s resource sector. How will the government support Canada’s cleantech sector? We need to create policies that incentivize companies to consider doing things differently. Pricing pollution is one of those incentives, wherein the negative externalities of emitting carbon are included in its price, so companies will look for other alternatives in order to reduce their costs. Canada produces and attracts a wealth of human capital with diverse perspectives and ways of problem solving, which fosters innovation and creativity. Yes, there are challenges; sometimes we do fund start-ups and sometimes we do not provide necessary support to develop ideas to full commercialization. There are bottlenecks and Minister Navdeep Bains, Minister of Innovation, Science and Economic Development, is well aware of them. That is why he is moving forward with creating and streamlining all the innovation programs available at the federal level. He is also developing a one-stop shop for the government’s innovation ideation. While Canada is competitive in attracting businesses because of our policies, high environmental standards and talented workforce, there is a lot of potential in taking our cleantech businesses abroad. The cleantech industry, in particular, combines our strengths in energy and technology, so we could really be providing solutions to the world in this area. When you look at the cleantech companies in British Columbia, for example, half of their solutions are, in one way or another, connected to the natural resources sector. So we must focus on how we market that to global customers. I think that is where a lot of potential lies in terms of creating companies that really provide essential environmental solutions to the world and show how clean technologies can be part of meeting the environmental challenges related to natural resource development. We are supporting this technology development through various means. For example, just recently, in the “Women in Cleantech” Challenge, our government awarded six female innovators $800,000 each to build up their ideas for more sustainable practices in new technology. We also recently announced our “Sky’s the Limit” challenge, which encourages companies to collaborate with universities, and private and public institutions, to find innovative ways to reduce the impact of jet fuel on the environment. These are the kinds of challenges we are creating and I see a lot of potential in the solutions they will bring forward. What is the best way for the Federal Government to invest in innovation in our natural resources industry? First of all, one critical part of the government’s effort to help us grow the economy and create jobs – including in our natural resources industry – is infrastructure investment. In my previous portfolio – Infrastructure and Communities – we invested $180 billion in infrastructure. The recent announcement of our commitment to invest $250 million in the infrastructure needed to facilitate the development of the large LNG project in BC is one example of how infrastructure enables development and economic growth. I also think the long-term approach to investing in new technologies and innovation is important. For example, the University of Alberta is emerging as a center for artificial intelligence. But the seeds for that expertise were planted 25 years ago when government started investing in the university in that particular area. This is a long journey and nobody would have imagined decades ago what potential we would create if we supported that kind of innovation. That is what we need to focus on as we move forward on new technologies: a long-term vision and faith that we can turn those ideas into tangible benefits. How do you see Canada’s energy transition taking place? I am very pleased to see the work being done at NRCan to foster innovation in our traditional oil and gas sector. At the same time, it is impressive to see how we are supporting new technologies in wind, solar and tidal energy, and how we are able to bring Canadians together to envision our energy future. Thousands of people participated in a dialogue on the future of energy in Canada called “Generation Energy”. Canadians with different point of views, perspectives and interests came to a consensus about our energy future. The consensus was that Canada needs to transition to a low-carbon economy in a responsible way, while fostering more technological innovation to reduce the environmental impact of our oil and gas sector. As we transition to new forms of energy, we need to ensure that we are creating economic opportunities for workers who might be displaced by the transition. That is why we have assembled a group of Canadians who are actually going into communities to understand the impact of the transition when it happens. We also need to support new business in the new green economy while partnering with existing stakeholders to make their practices more sustainable and innovative. We will continue to diversify our energy sector; oil and gas, wind, solar, biomass and tidal are all critical to our economy and energy systems.